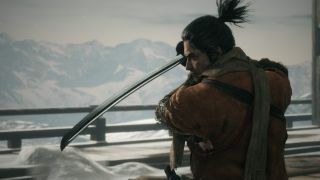 Sekiro, The Division 2 and more are discussed in our long awaited return. Dormant. Sickly. Drunk, lying face down in a gutter. Those are all words that you can’t use to describe the PC Gamer UK Podcast, because it is back and strong like a man who is very good at competitively pulling trucks a short distance. Look. We’ve forgotten how to podcast, and we’ve forgotten how to write podcast descriptions. But we’re back, and that’s something. Discussed: Sekiro: Shadows Die Twice, Anthem, The Division 2, Destiny 2, Google Stadia, The Epic Store. Listen to Episode 70: A Return here. You can also subscribe on iTunes or keep up with new releases using our RSS feed. The PC Gamer UK Podcast is a weekly podcast about PC gaming. Thoughts? Feedback? Requests? Tweet us @PCGamerPod, or email letters@pcgamer.com. This week’s music is from Destiny 2.